Taking appropriate care of your teeth will not only help to keep them white but will aid in tooth decay and gum disease prevention as well. Floss at least once per day, and remember to brush your teeth at least twice daily, especially after breakfast and before bed, with a fluoride-containing whitening toothpaste which will help strengthen your tooth enamel and lift stains from the surface of your teeth. If you’re concerned about the color of your teeth, professional, in-office whitening procedures can brighten your teeth by several shades in a short amount of time. Committing to biannual dentist checkups will help keep your teeth and gums healthy, and your smile bright. 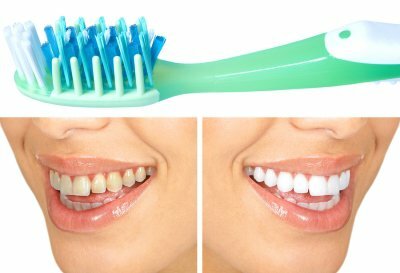 Regular teeth cleanings can polish away surface stains on your teeth that brushing alone won’t remove, helping to fight discoloration without the need for additional whitening treatments. The most damaging culprits when it comes to tooth staining are coffee, tea, red wine, and cola. Avoiding these drinks altogether is the best way to keep your teeth white, but if you do drink them, remember to rinse your teeth afterward and brush them if possible. Tobacco is also staining for teeth, so consider quitting if you’re a smoker. Your cosmetic dentist in Hazlet can ensure that your teeth whitening is done safely and can help address any later sensitivity. The highly-qualified team at Glenwood Premier Dental provides several cosmetic dentistry treatments, including Zoom Whitening, porcelain veneers, Invisalign, and tooth-colored fillings. Contact us today at (732) 264-4477 to learn more about our services or to schedule an appointment.